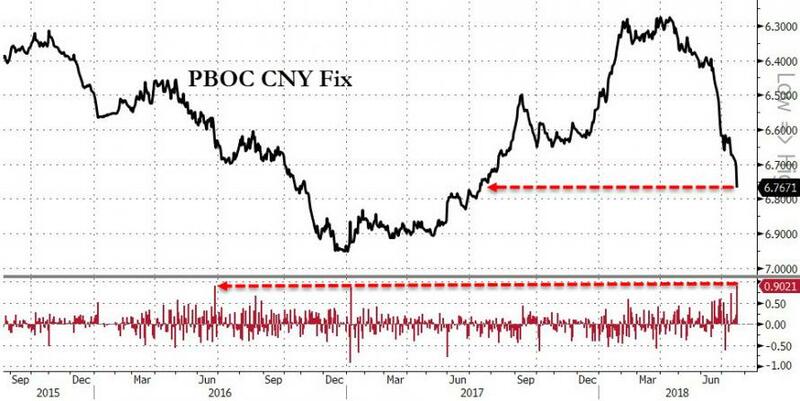 The PBOC just lowered the ax on the Yuan Fix - slashing their reference rate by the most since June 2016. 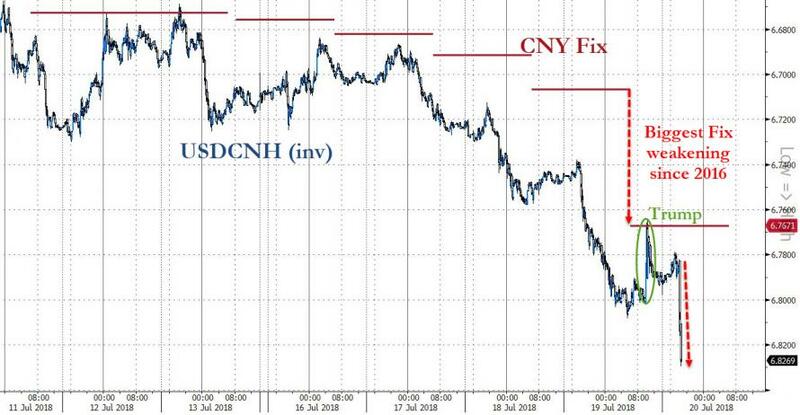 Offshore Yuan is tumbling to new cycle lows after the fix...CNH is down over 1250 pips this week - the biggest weekly devaluation since August 2015's plunge. President Trump is gonna be pissed!! Will China's chaotic capital markets ripple across the world? 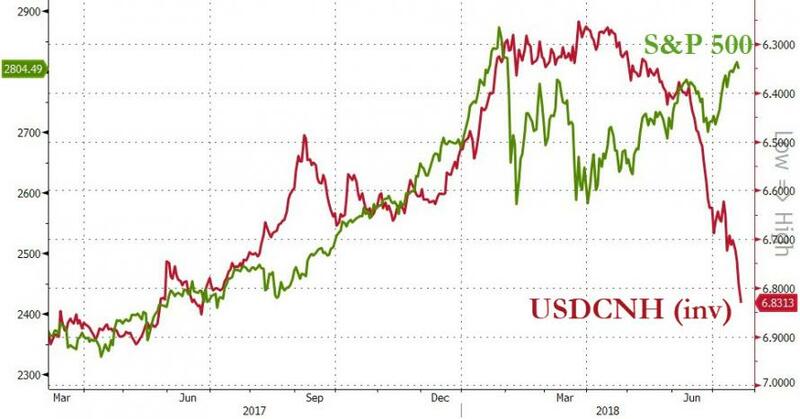 As we concluded previously, so how long before the trade war, which is already shifting to a currency war as a result of the recent record devaluation in the yuan, morphs into a central bank war and a renewed race to the bottom between the world's two most important economies? .. or worst still as Bannon suggested, a kinetic war. Russia is an annoyance. China is our great challenge. Russia's economy is the size of Texas or New York State? It's got lots of nuclear weapons...but in today's warfare...nuclear weapons are taking a less important role. Trump is trying to end the Cold War and the Korean War...and all he is getting is grief from the globalists. And that's a huge problem, because not only are we adversaries with China, we are at war with China, Bannon said. We're in a war with China. Ray Dalio tweeted the other day. There's three types of war: information war, economic war, and guns-up kinetic war. They've been at war with us for 25 years. Many people in this room have exacerbated the rise of China." Pushing back against the notion that Trump lacks grand foreign policy vision, Trump, like Reagan, is trying to build a foreign policy behind American assertiveness and optimism. Furthermore, the notion that China has advantages over the US in a trade war is laughable; the US can - and will - win, Bannon said. 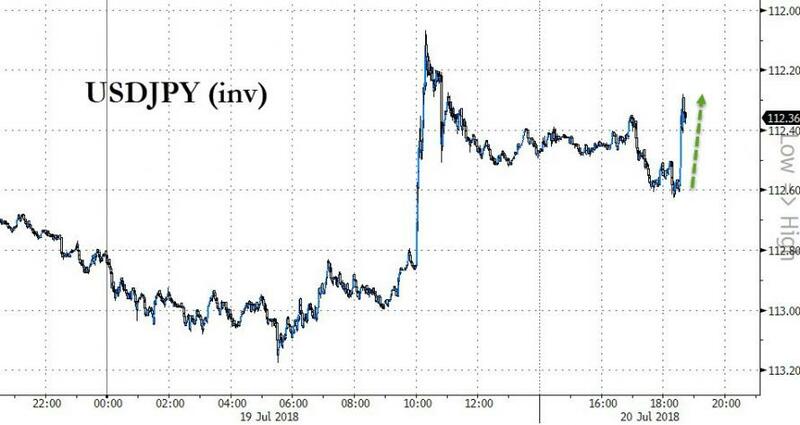 If they devalue their currency they're just going to flood more dollars out. That's what their own people think about their economy. We allowed them to take the South China Sea. Donald Trump is not going to back off this. 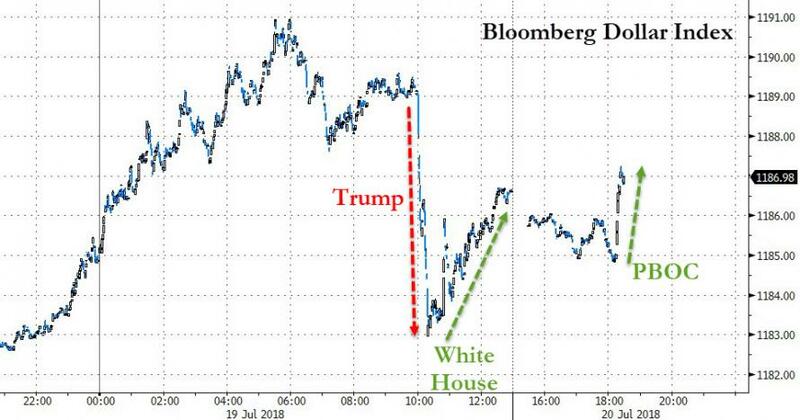 Donald Trump is not going to blink. Victory is when they give us access to their markets. 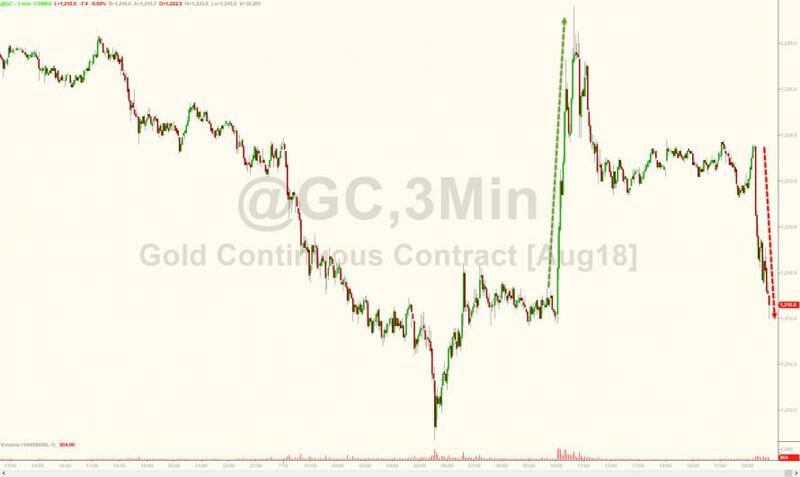 This trade war is going to end in victory and what you're going to see is a reorientation of the entire supply chain out of China. But, we remind readers that 'hope' is not a strategy.